Caliber did a bit of a touchdown dance when the fast-paced, two-person tabletop football game, Fliip Football, came looking to turn an idea into a reality. 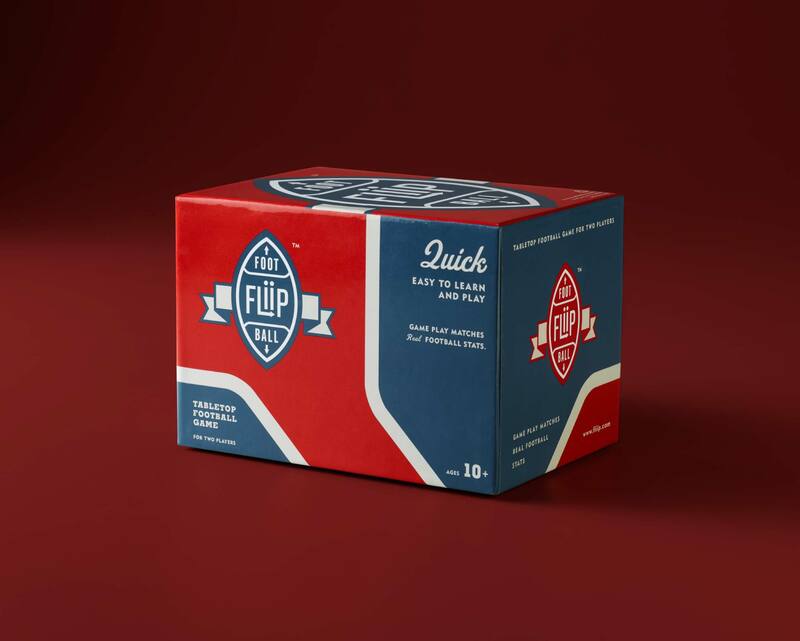 That reality came in the form of a retro-inspired packaging design that includes 66 custom cards, instruction formatting, field and score sheet design, and a custom game token. The game is sold online, and Fliip and Caliber are currently teaming up to add some expansion sets to the huddle.